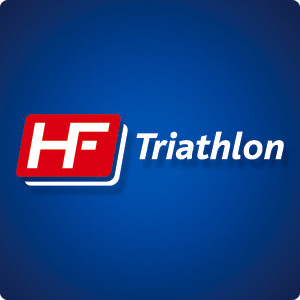 I am very proud to announce the launch of my newly founded triathlon coaching company – HF Triathlon. The company has been in production for the past 9 months and to now finally unveil it to the public is a very proud moment for me. I have established the company to provide elite level coaching to athletes at all levels in the sport, at an affordable price. Having been in top level sport for many years I understand what an athlete requires from their coach. However unfortunately, in my opinion, there are not enough options available to the growing number of triathlon competitors worldwide. Founded along with my partner Ben Powell, HF Triathlon is committed to athlete care and attention. I will take a backseat role in the company whilst still having a vital part to play in the design and planning of each athletes training programme. The day to day running of the company will be taken care of by my partner Ben. This allows me to continue to focus on reaching my peak and London 2012 Olympics. Triathlon as a sport is growing rapidly, a clear sign of this growth is, this coming weekend the London WCS race will be hosted live via big screens in 6 cities throughout the UK. 10 years ago triathlon was a little known sport rarely found on internet search engines. Now with events such as The London Triathlon hosting over 11,000 competitors it is a clear sign that high quality coaching companies need to be established. I am passionate about my sport and I am also a realist. I know that racing does not last forever. Establishing this company allows me to pass on my knowledge and race experience, while combining my education to benefit others in achieveing their goals and ambitions. HF Triathlon is proudly supported by Nike, Sailfish and Maxim.